On Nov. 8, four representatives of Tech’s Office of Government and Community Relations (GCR) gathered to educate students and faculty about the connections between Tech and the world around it. The representatives focused on delineating the role GCR plays in the interactions between Tech and the outside world. 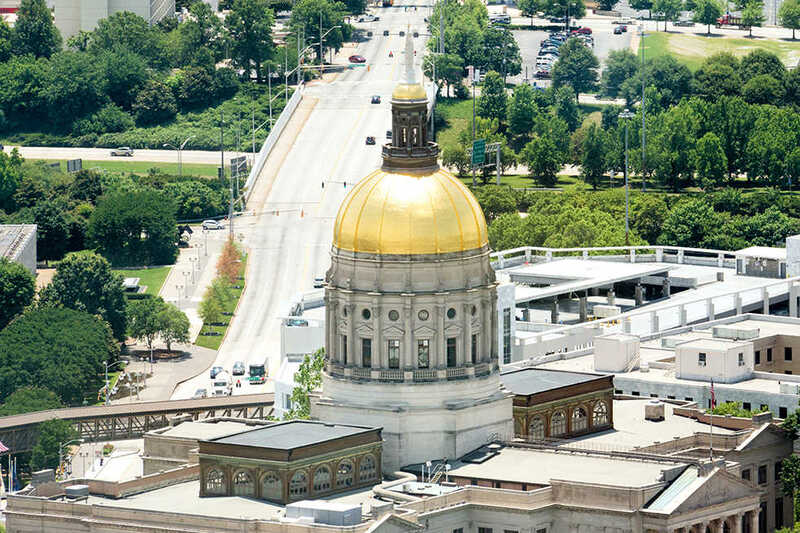 According to Dene Sheheane, GCR’s vice president, the office is “focused on enhancing Georgia Tech’s reputation and image.” Sheheane described the office as a “three-legged stool,” referring to the Community, State, and Federal Relations branches which respectively work with the City of Atlanta, the state government and the federal government. Chris Burke, GCR’s Community Relations Director, explained that his branch “engage[s] at the community level,” with efforts falling into two primary categories: business engagement, which involves working with businesses to encourage them to incorporate talented students and faculty in internships, co-ops and research initiatives; and community outreach, which involves promotion of Tech and STEM education in various Atlanta communities. Burke said that the Institute is often “the carrot to lure businesses into the city.” As a result, Burke elaborated, Atlanta leaders view Tech as a valuable economic asset to the city. While discussing GCR’s community outreach, Burke explained that “we are a public university, and we have a public responsibility.” Burke noted that his office has “a great interest in K-12 education,” especially in the popularization of STEM fields, leading Tech to host a variety of summer camps and visits for young students. Casey Aultman, GCR’s Legislative Advocacy Manager, represented the State Relations division, explaining that her branch works closely with the governor’s office, the Georgia General Assembly and the Board of Regents to advance Tech’s interests at the state level. Citing several past successes, Aultman highlighted Governor Nathan Deal’s recent veto of House Bill 859, often referred to as the “campus carry bill,” which faced opposition from many in the Tech community, and the continued existence and success of the HOPE Scholarship. Finally, Robert Knotts, the Federal Relations director for GCR, highlighted his branch’s efforts at improving Tech’s relationship with the federal government. Knotts explained that his division “bring[s] national figures to campus” in an effort to improve awareness of Tech and its role as one of the nation’s leading research universities. Knotts also highlighted his branch’s sponsorship of the Federal Jackets Fellowship, which gives students the opportunity to intern in a federal office in Washington, D.C.
Additionally, Knott’s office sponsors a Thought Leadership Roundtable series in Washington, D.C., which has helped to advance national discussion of such topics as women in engineering and African Americans in engineering. Vice President Sheheane emphasized that his office is “the front door to the institution,” and that GCR will continue with its efforts at improving Tech’s local and national reputation to ensure that the Institute remains a nationally recognized and well integrated part of the world around it.